College Town Kent held its second annual For The Love Of Fashion show on Friday at The Kent State University Hotel and Conference Center. 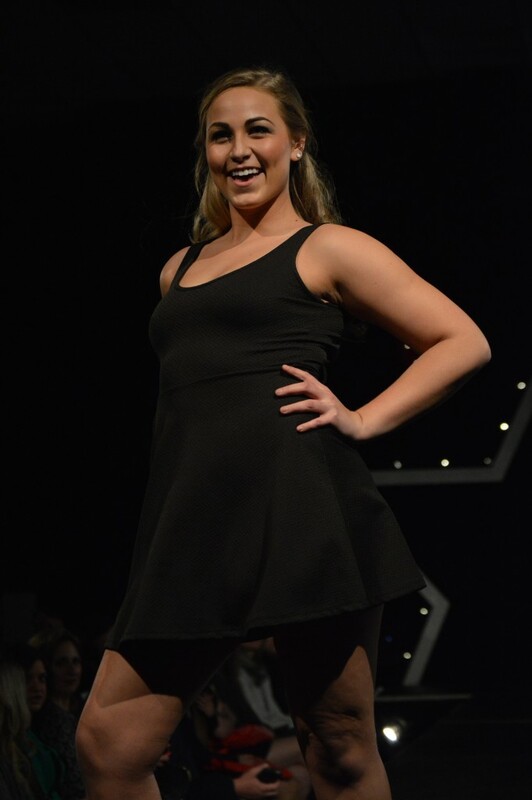 The show, featuring Kent’s small businesses, showed attendees Spring 2016 trends modeled by Kent State’s Alpha Xi Delta sorority. Leading up to the show, hordeurves were provided by Bar 145, Dave’s Cosmic Subs, Fresco Mexican Grill, Newdle Bar and Panini’s Bar and Grill. The proceeds from the show benefited Alpha Xi Delta’s philanthropy, Autism Speaks. The models rocking the best looks from the small businesses also help the businesses grow. A magazine spoke with Mercadies Cochran, a senior fashion merchandising major and Alpha Xi Delta member, who helped make the show happen. Through her internship with College Town Kent, Cochran worked with all of the small business owners, restaurant vendors and models coordinating the show. Cochran and College Town Kent have been working on the show since November, Cochran said. Five local boutiques showed off their best collections this year. Starting the show off was the energetic and casual Universitees. Next were the simplistic, top brands from Gracy Lane and Carnaby Street Style, the eco-friendly One Love Yoga studio and fresh hair do’s from Rush by Dino Palmieri Salon and Spa. Trends this season were simplistic, sunkissed and natural. Following the show attendees could purchase their favorite pieces from the runway looks and enjoy freshly baked cookies donated by Insomnia. Cochran said she is excited to continue this partnership next year because it is great for Kent State, College Town Kent and the Kent community. “The fact that all of the money went to the sisters of Alpha Xi Delta and their efforts to raise money for Autism Speaks is amazing in itself,” Cochran said.